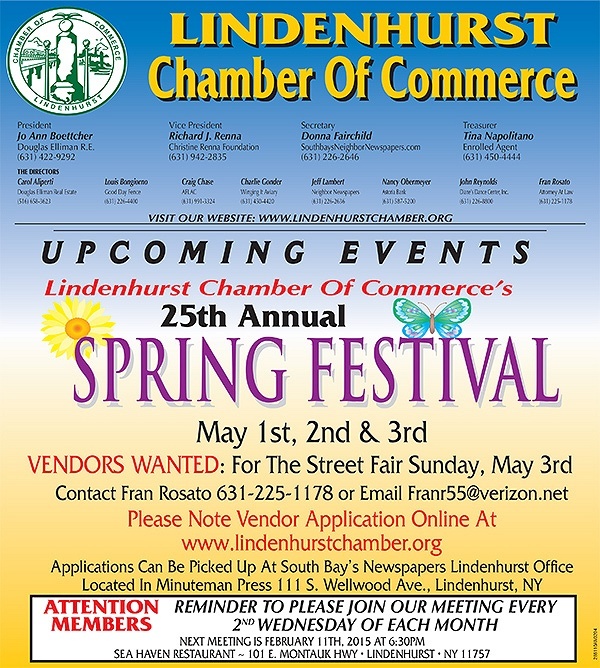 Subject: LongIsland.com - Your Name sent you Event details of "25th Annual Lindenhurst Spring Festival"
Join us in Lindenhurst Village on Wellwood Ave. for our 25th Annual Lindenhurst Spring Festival! Vendors wanted for Sunday, May 3rd. Click here to view the application. You may call Fran Rosato at 631-225-1178, or email her at FRANR55@VERIZON.NET with any additional questions you may have.